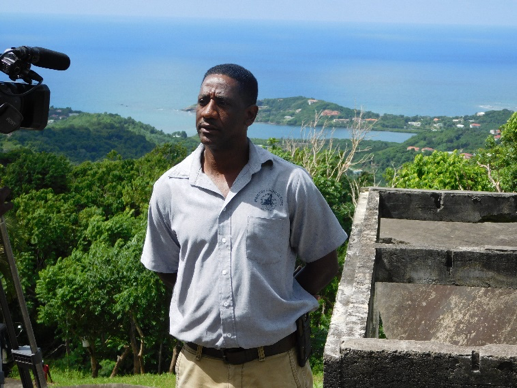 The Forestry & National Parks Department of the Ministry of Agriculture, and the Ministry of Tourism, Civil Aviation & Culture is collaborating with the GEF/UNDP and the Grenada Ridge to Reef Project in its implementation, to rebuild the Morne Gazo Visitor and Interpretation Centre. Morne Gazo, once one of Grenada’s top eco-tourism sites in St David, provides a unique opportunity for locals and tourists to enjoy and tour an undisturbed rainforest and ecosystem, with walking trails and a panoramic view of the South-Eastern Atlantic Ocean of Grenada. The Visitation and Interpretation Centre was destroyed during the passage of Hurricane Ivan in 2004, and has been out of operations since. Both Project Officer for the Ridge to Reef Project and Chief Forestry Officer (Ag.) highlighted the many benefits and opportunities that the site offers. Mr Joseph Noel (Project Officer of the Ridge to Reef Project) emphasized the importance of rebuilding the Visitation Centre as it presents a great opportunity for both locals and tourists to appreciate and benefit from this nature reserve. He mentioned the opportunity for local artisans to have their product exposed and traded at the Centre in support of sustainable livelihoods. Mr. Anthony Jeremiah, Chief Forestry Officer (Ag.) indicated that the rebuilding of the Centre would reopen the door for eco-tourism opportunities in St David by linking a network of tourism attractions, including Laura Herb & Spice Gardens, La Sagesse, and other areas. On Tuesday, 19 July 2016, Mr Noel and Mr Jeremiah visited the site along with local contractor, Mr David St. Louis, and hosted a media briefing on the project. Operations have already commenced with the demolishment of the old structure, in preparations of erecting the new Centre. 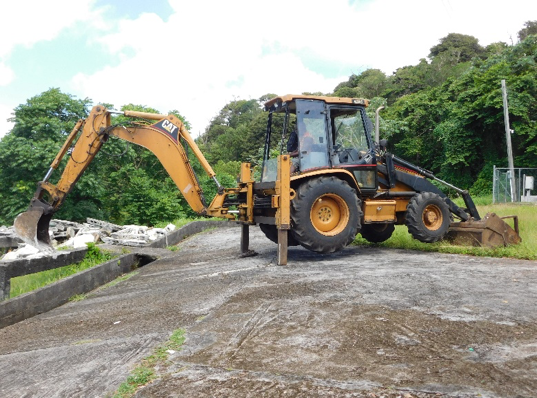 The Forestry Department, Ministry of Tourism, and the GEF/UNDP Ridge to Reef Project are looking forward to reestablishing the building within the coming year to optimise the many eco-tourism and financial benefits that can be derived from the site.